With 15 incredible years of service under its belt, Royal Vegas has become one of the most respected Canada online casinos in the business. It’s my favorite digital gambling haunt, and thus – in my opinion – worthy of its own series of online payment method reviews. In this segment, we’ll examine Royal Vegas Neteller deposits. 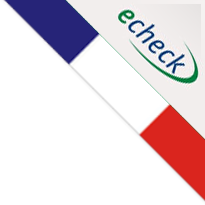 I’ve been depositing with Neteller for several years now, off and on, and have experienced no problems. Neteller deposits are fast, secure, convenient and highly dependable, but not entirely free. Neteller is a top choice for Canadians who want to move funds securely in and out of their online casino account. There are nominal fees associated with some transactions. The heightened security and convenience can be is worth it, though. Before you can start facilitating Neteller deposits at Royal Vegas, you’ll first have to set up and fund a Neteller account. To get started, go to Neteller.com and click the Sign Up link. From there, it’s a 3-step process. Step 1: You’ll first enter your email address, country, province and the currency you’ll be transacting in, then click Continue. Step 2: Next comes the big form, where you’ll enter your full name, address, phone number and date of birth. You’ll also select a password and choose some security questions for added protection. The terms and conditions are provided on this page as well if you want to give them a read. Click Continue again to register your account. Step 3: On the next page, you’ll receive an Account ID and Secure ID. Be sure to save that information. You’ll also have to open the verification email with a link to verify your email address. Click that link and your account is all set up. Note that by registering your Neteller account in CAD, and processing all Royal Vegas deposits/withdrawals in CAD, users can avoid the 3.99% exchange rate fee normally charged by Neteller on ForEx transactions. Neteller doesn’t charge any fees to move funds from a Neteller account to Royal Vegas, or vice versa. 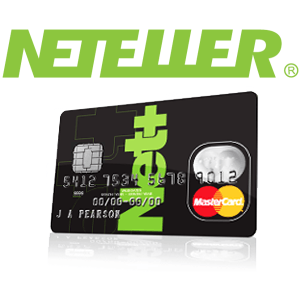 However, there is a 2.5% fee attached to all credit/debit card deposits into your Neteller account. Users can also request a physical Net+ Prepaid Card, which links direct to the online Neteller account. The card comes with a few more fees, all listed in USD. These include a monthly $2.99 admin fee, $3.00 paper statement fee (choose paperless statements to avoid this one), $3.95 ATM withdrawal fee and $5.00 lost card replacement fee. Another option is to request a Net+ Virtual Card. There’s no physical plastic so you can’t withdrawal from ATMs, but you can purchase one for CA$3.00 per card, using the virtual ID number and pin online just as you would a physical card. Step 1: Go to the Royal Vegas Banking page and click the Deposit button next to the Neteller logo. Step 2: Enter your Neteller account information and the amount to be deposited. Step 3: Click the Next button and follow the instruction on the next page to complete the purchase. Once confirmed, the funds will instantly appear in your Royal Vegas online casino account. Can I Withdrawal with Neteller? Step 1:. Go to the Royal Vegas Banking page and select Withdrawal. Step 2: Enter the amount to be withdrawn and click Next. Step 3: Select Neteller from the drop down menu and follow the instructions to complete the request. For security purposes and to ensure compliance with international regulators, before Royal Vegas will issue any player’s first cashout, they must undergo a verification process. The process will automatically initiate on the first withdrawal request. The player will be asked to provide a copy of their government issued photo ID (i.e. driver’s license, passport), and any current (not older than 3 months) utility bill with their name and address on it. If the player used a physical Net+ Prepaid Card to deposit, a copy of the front and back of that card may also be required. These items can be scanned and emailed, faxed or mailed directly to Royal Vegas.